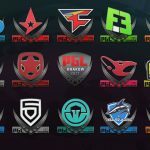 The stage is set, the groups are revealed and World’s most played MOBA leagues of legends has come up with the biggest e-Sports event of the year, The League of legends Season Four World Championship 2014. The first world championship was played three years earlier in front of two hundred fans in Jonkoping, Sweden. Now, millions of fans are eagerly waiting for The Season Four World Championship which will set us on a journey from Taiwan to Singapore and finally, Korea. The Championship will feature 16 teams from different corners of the world. These teams will be divided into four groups. 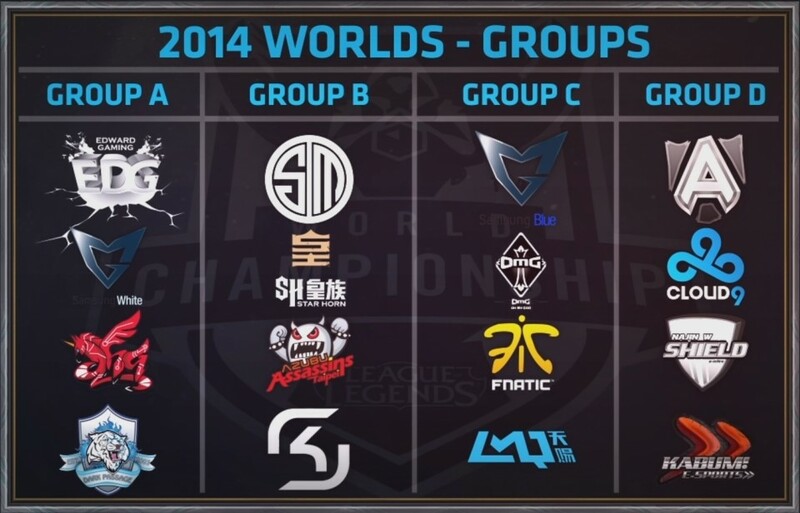 On August 7, League operations officials executed the Worlds 2014 Group Draw at Riot HQ in Santa Monica, CA. later On August 9, LOL e-Sports launched a show called “World reveal show” hosted by Rivington The3rd and James Dash Patterson where the groups were revealed and Riot shout casters and analysts Jatt, Kobe and Phreak talked about the strength and weaknesses of each team and predicted the winners of the groups. 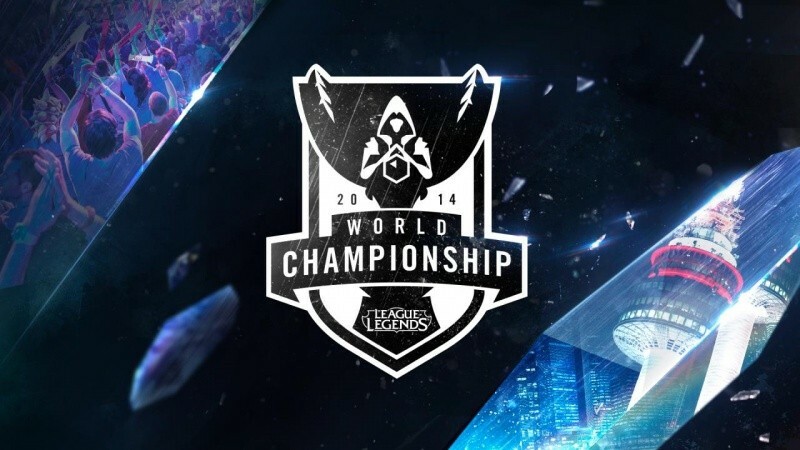 For worlds 2014, teams were divided into groups based on their performances in their respective regional qualifier and with the help of a placement randomizer system. Teams are randomly drawn into groups based on a specific procedure illustrated below. Each group will contain one team from Pool 1, two teams from Pool 2, and one team from Pool 3. Teams will be drawn randomly from the pools into groups. But, there is catch, which is called “region limit”. It means no two teams from the same region can be present at the same group. The top pool was made of No1 seed of China, Korea, Europe and North America. While the middle pool consists of number 2 seed from Europe and North America, along with the No.2 and No.3 seed China and Korea and the two teams from the GPL (Garena Premier League). 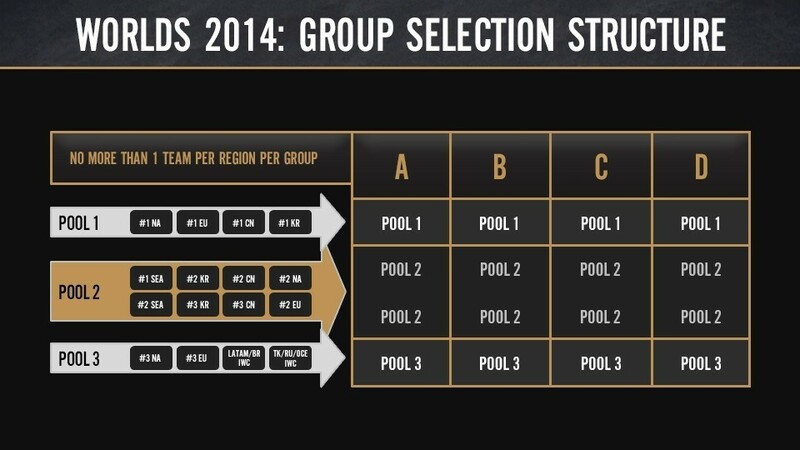 The third pool contains No.3 seed of Europe and North America as well as the two international wild Card teams. After tons of teasers were released throughout the web, Riot finally revealed the four Groups. Group A consists of China’s top team Edward Gaming, Korean second seed Samsung White, GPL’s second seed AHQ and wild card entry Dark passage. While Samsung White is considered the best team in the world right now, China’s top seed Edward Gaming has the potential to defeat any team and will be looking for to be the group champion by topping Samsung white. The analysts predict these two teams to qualify for the quarter final, But after being Champions in Turkey for 3 years in a row and finally getting a chance in the world, Dark passage can cause an upset, kicking out one of the two giants. Also, with new roster and dominating performance at GPL which granted them 2nd place, AHQ is not a team that will stand idle by. All the matches of group A will be held on September at 18-19 PDT: 5pm / CEST: 11am, in NTU Sport Center, 106 Luosifo Road, Section 4 No. 1, Taiwan. Group B has the North America’s one of the most Popular team and No.1 seed Team Solo Mid(TSM), China’s second seed StarHorn Royal Club, GPL’s top team Taipei Assassins(TPA) and Europe’s third seed SK gaming. StarHorn Royal Club is the runner up of season 3 world cup and considered a contender for this year’s title. Their fairly new roster with only one former player and team captain UZI, they will try to get their hand on the cup and finally forget the disastrous memories from the final last year. TSM is one of the oldest and most recognizable team today. In fact, they are the only team in this championship that has competed in all the world cups. With vast experience by their side and new players in the jungle and mid, TSM became the top team of North America this year and is looking very strong for worlds. One of the remaining two teams, Taipei Assassins, is the winner of season 2 world cup. They were the dark horse back then and they are being considered the same again this time. The last team SK Gaming has tremendous team work and map pressure which can make any team tilt and lose their way. They will be eager to qualify for the quarterfinal by defeating other teams strategically. The analysts predict that TSM and StarHorn Royal Club should be the top two team qualifying from this group, but they also agree that SK and TPA both has the capability to defeat them. All the matches of group B will be held on September at 20-21 PDT: 5pm / CEST: 11am, in NTU Sport Center, 106 Luosifo Road, Section 4 No. 1, Taiwan. This group is being called the ‘group of Death’, as each and every team of this group has what it takes to qualify into the quarterfinal and potentially become the Champion. It contains Korea’s top seed Samsung Blue, China’s third seed OMG, Europe’s second seed Fnatic and North America’s third seed LMQ. This Group has world class mid laners in every single team, capable of single handedly carrying out games. Dade tops rest of the mid laners as he is in his best form and his team Samsung Blue is the favorite to win the group as well the cup. Fnatic brings their best when it comes to big events. 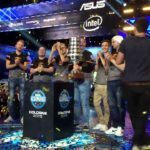 As World Championship is the biggest event there is, it is expected from Fnatic to show their A-Game and re-conquer the cup. OMG managed to reach quarterfinal last year only to be eliminated by their fellow Chinese team, Royal Club. This year, they will surly try defeat the top teams with their early game map rotations. North America’s LMQ has already shown why they are a force to be reckoned with by capturing the 3rd place at regional qualifier. Their early game kills pressure and strong lanning phase is a threat for any team. The analysts are divided among themselves when it comes to predicting ‘Group of Death’ qualifiers. While Samsung Blue is their favorite to win the group, they think any of the other 3 team can be group runner up. All the matches of group C will be held on September at 25-26 PDT: 2pm / CEST: 8am, in 1 Expo Drive, Singapore 486150. Group D will be decided by westerns teams’ ability to go toe to toe with Korean power house Najin white Shield. With Cloud 9, Najin White Shield, Alliance and Kabum in the group, it remains as the 2nd hardest group to predict. 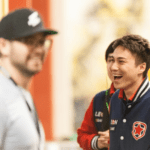 Najin White Shield, who was the final nail in the coffin for defending World Champions, SK Telecom T1 K, has come into Worlds as the hottest team in the tournament. Their one of the most impressive runs through the Korean Regional’s history has made them a candidate for the Cup. Cloud 9 remains as one of the West’s best hopes to achieve glory at Worlds. They are one of the few teams in the west who practice rotations and tactics similar to Koreans. There is one other team in Europe that has the same strategy, Alliance. With star player ‘Froggen’ in the mid and the ability to punish opponent for every mistake, Alliance sets up high hope for Europe. Hope is the key for the wild card Entry Kabum. Even though they are the underdog in the group, they know they can beat Big names on their best day. 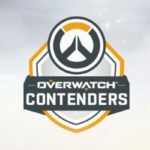 The analysts are on the same page predicting Najin While Shield as the group champion, but they are scattered when it comes to the group runner up. Both Cloud 9 and Alliance can qualify and it’s almost impossible to choose one of them. All the matches of group C will be held on September at 27-28 PDT: 2pm / CEST: 8am, in 1 Expo Drive, Singapore 486150. Yes, every single match of that group will be epic. Fnatic is the runners up of EU not 3rd seed. And this is summoner cup, not world cup! It does call world cup. Shout callers called it millions of time during 3rd world cup. U r r8 about fnatic though.